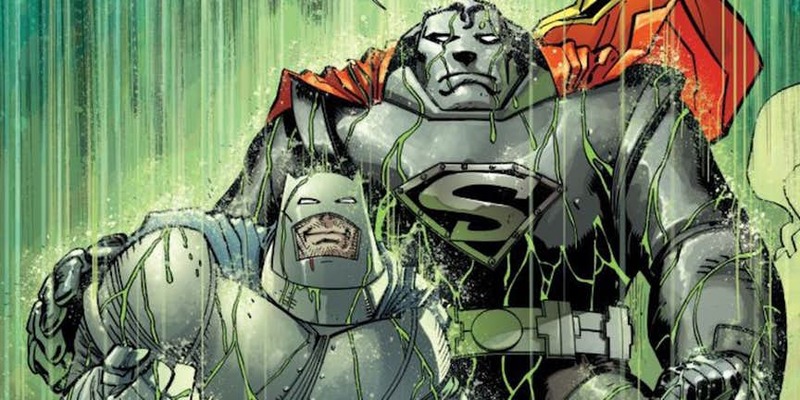 In Superman Confidential #11, Superman is dying due to kryptonite exposure from Lex Luthor. 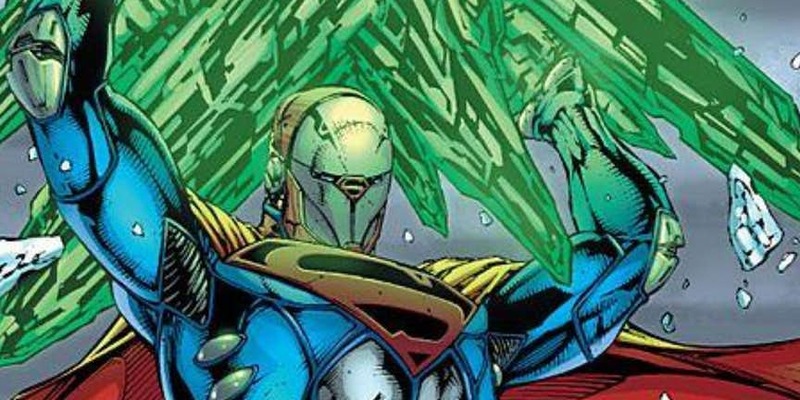 The same kryptonite that is killing him also houses a telepathic alien that is trapped within it. The alien requests Man of Steel to get to the sealed chamber he is being held and throws it all together into the sun. 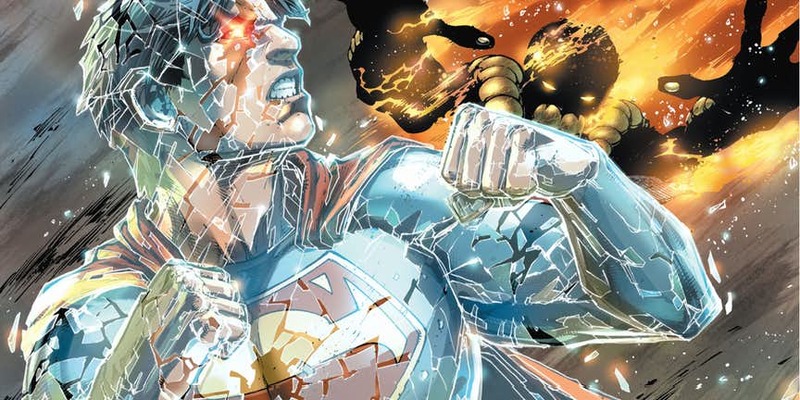 Man of Steel puts on the Sun Armor and gets the job done. 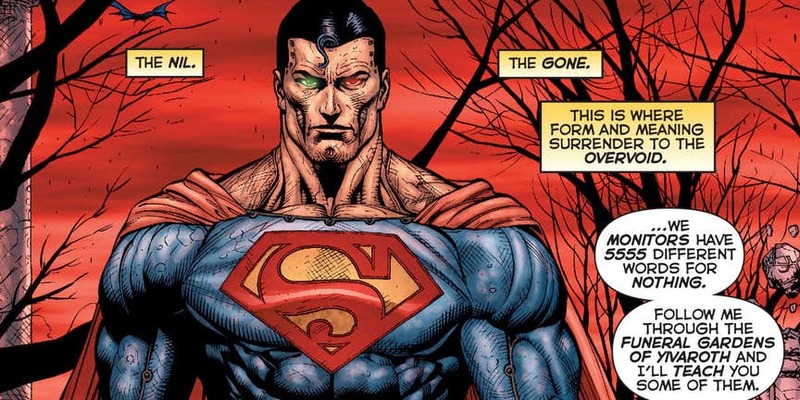 In Superman: Earth One – Volume 2, Superman I still learning to become the Man of Steel when he faces his greatest enemy yet, the deadly being known as the Parasite. The Parasite can absorb the life force and powers of other people via touch or proximity. After almost getting killed, Man of Steel is outfitted with the Anti Parasite armor that helps him defeat the Parasite. When Luthor, Grodd, and Brainiac hatch up a plan to use the news of an impending doom in the form of nuclear Armageddon to rile up the Legion of doom, the DC heroes find themselves unable to stop them. Brainiac infects every good guy he could find with little mechanical worms. 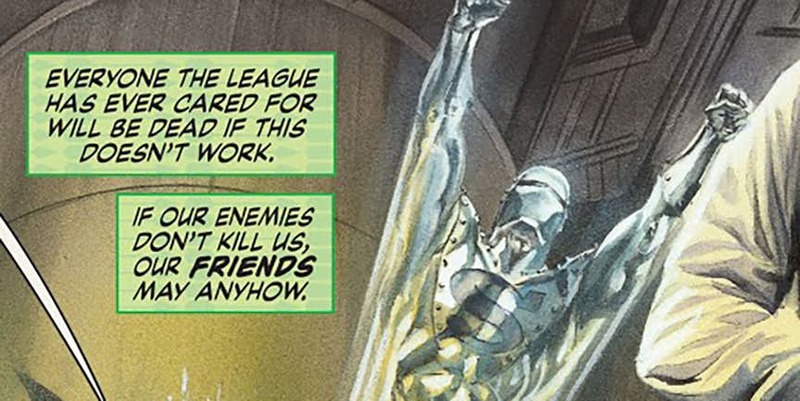 So, the Metal Men wrap themselves around the Justice League for added protection. Kryptonite Protection Suit In Superman/Batman #44-#49, Superman and Batman collect all the kryptonite lying around the world to eliminate the threat of it being used against the former. To do so, Man of Steel has to physically hold the kryptonite which could literally kill him. Batman devises Titanium lined anti Kryptonite suit with built-in life support and self-repair system. Mxyzptlk is a super powerful imp from the 5th dimension. Man of Steel is stripped of his powers while encountering the reality-bending creature. So, Superman’s good friend Emil Hamilton creates a Power armor superman suit that could still help Clark Kent fight crime as a regular human. The suit had super strength, sensors that substituted his super senses and was pretty durable. In The Dark Knight III: The Master Race, a group of fanatic Kandorians decides to take over the world. The world and Man of Steel look powerless to stop him. Batman then devises a plan. The Kandorians are Kryptonians. So they will be susceptible to kryptonite. Bruce seeds the rain clouds with synthetic kryptonite and gifts Superman a hulking lead lined power armor for the final battle in Gotham. Superboy is one of the universes’ strongest beings. He was originally a superhero who went insane during Infinite Crisis and tried to kill several other ‘imperfect’ superheroes. 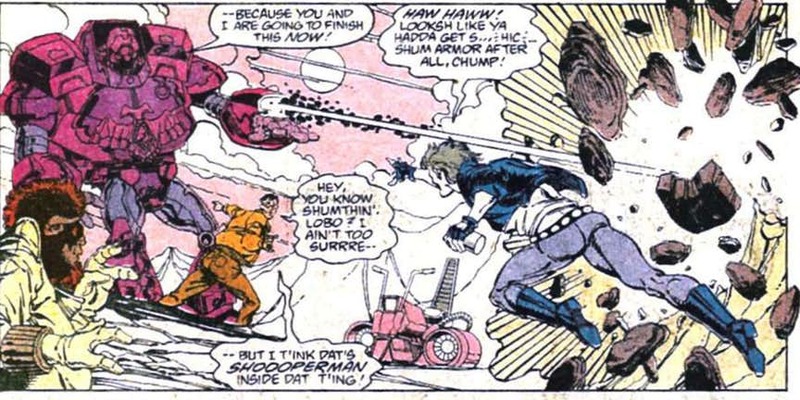 Superboy is then trapped within the Speed Force. 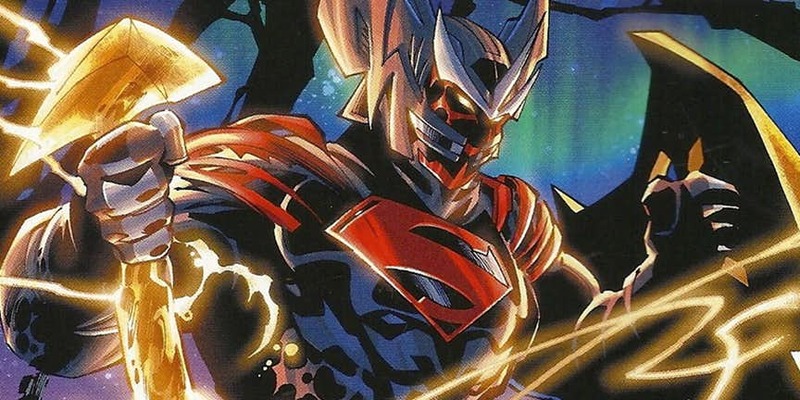 He returns later with an armor modeled after the Anti-Monitor, constantly flushing him with limitless yellow Sun energy that enhances his already incredible power levels. The Kryptonian Warsuit was created by Krypton’s scientists to wage war and survive harsh wastelands. Superman used this suit to fight Lobo after almost getting killed by him. Man of Steel uses it again after fighting doomsday, the suit helping in Superman’s speeding recovery. Lex Luthor once hijacked the suit and used it to try and kill Superman in the ‘Fall of Metropolis’ storyline. 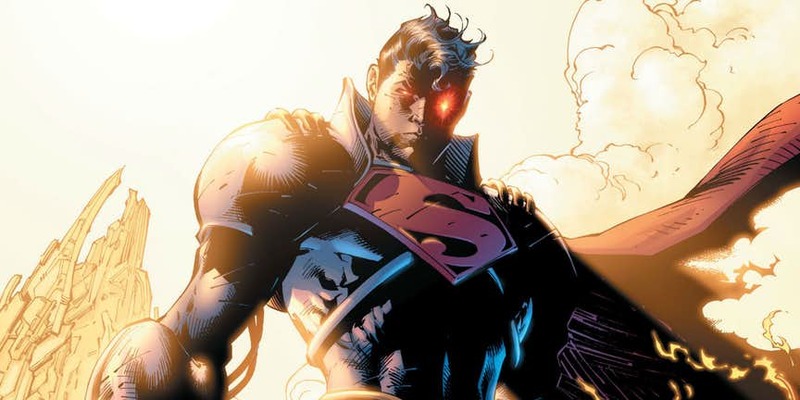 In Superman Unchained, Man of Steel discovers that the U.S Government has been experimenting on a powerful alien known as a wraith and brainwashing him into becoming America’s war machine. When General Lane discovers that Man of Steel knows of Wraith’s existence, he comes knocking on the Fortress of Solitude with Kryptonian killing weapons. 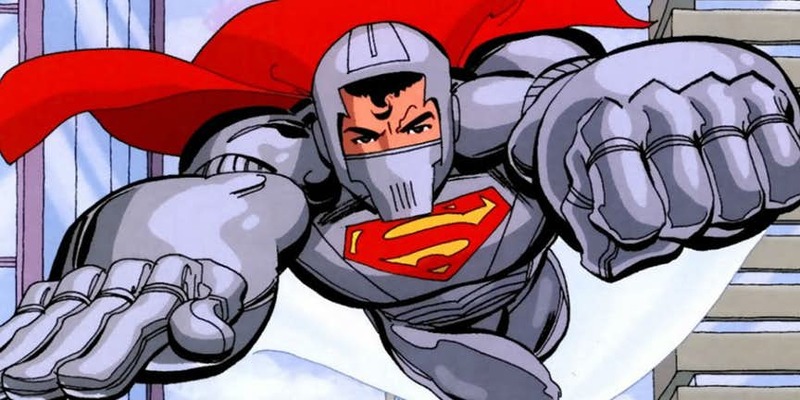 The Fortress, to even the odds, then develops a Man of Steel armor that is even more durable than Superman himself along with an energy shield and hammer. When Lois Lane is dying, the evil Monitor Mandrakk’s wife Zillo Valla comes to him with the promise of a cure if he could help her defeat her husband. But Mandrake is the most powerful being in the entire multi-verse, so Superman has to muscle up as well. 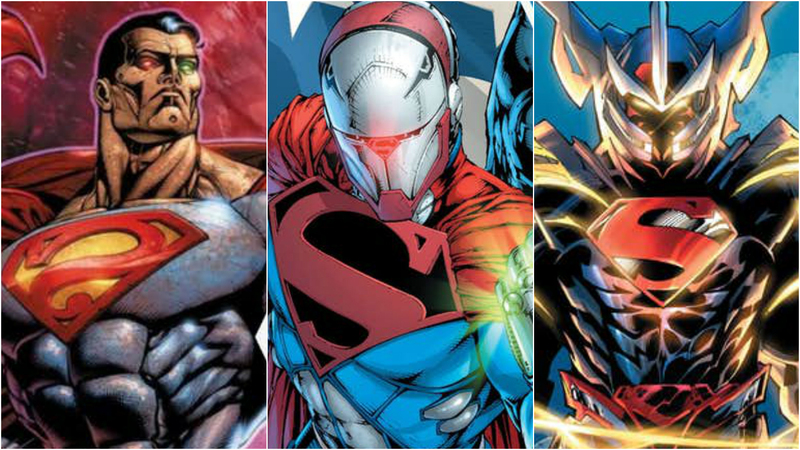 Man of Steel and Ultraman (an evil Superman from another universe) are fused together. The resulting being is called ‘Cosmic Power Superman’, with both of the Superman’s powers and neither of their weaknesses; Mandrakk is soundly defeated by the Cosmic Armor Superman. Solo: A Star Wars Story – Name of The Real Villain Finally Revealed! !